Choosing the best cocktail bar in New Orleans is practically impossible -- like choosing a favorite child, if only children were made out of delicious, delicious booze. We're blessed with an internationally recognized bar scene that offers everything from excellent classic cocktails to exciting Tiki spots and modern bars that mix up spirits in innovative new ways. Another bonus of the cocktail scene here: our pros are truly venerated, and customers will follow them anywhere. So if you want to reach beyond your favorite local place, check these out -- there’s a bar on this list for every mood. 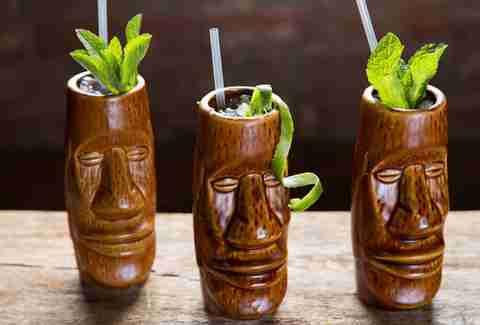 Tiki devotees flock to this bar, owned by noted expert Jeff "Beachbum" Berry. The decor is like a Polynesian fever dream, and the drink menu includes riffs on traditional Tiki classics (think Mai Tais and Zombies), as well as innovative cocktails like Davy Jones’ Lager, a mix of Antigua gold rum, Japanese beer, Curaçao, and spiced cane syrup. The bar is a sight to behold, what with its super-high ceilings and hand-chipped ice (the making of which is always an attention-getting show). This place feels more relaxed than many other serious cocktail bars -- it's OK to maybe talk a little loud in here; it’s not like a church or a library, after all. Named for the carefree, exuberant (now deceased) Adelaide Brennan, the Swizzle Stick seeks to honor the bawdy-debutante dichotomy that she lived. This is the granddaddy of the modern New Orleans cocktail bar. When Cure opened in 2008, it was a game-changer on Freret St, both in starting the neighborhood revival as well as bringing a fresh take on cocktail culture to a city that can sometimes get stuck in its own past. The space is gorgeous, the cocktail list esoteric (although there are always a few familiar names), and the staff is attentive to the craft. 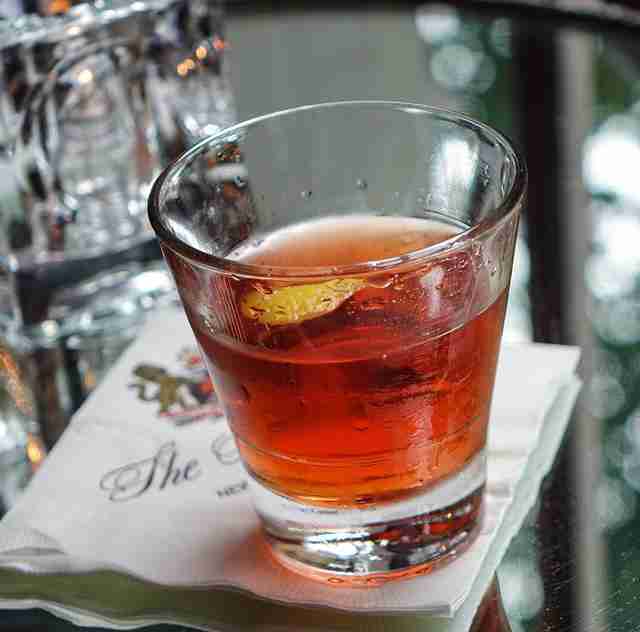 Located in The Roosevelt, a favorite of hotel of former Louisiana governor Huey P. Long, The Sazerac Bar's dim lighting and leather upholstery create the illusion that The Kingfish and his cronies are still around, making backroom deals, drinking bourbon, and smoking cigars. Have one of the eponymous beverages, or branch off into creative riffs on the classics, like the basil julep or The Southern Gentleman, which combines bourbon with muddled blackberries and mint. This whiskey-focused bar, located in a cozy, faded beauty of a converted corner shop, also offers a gorgeous hidden courtyard. 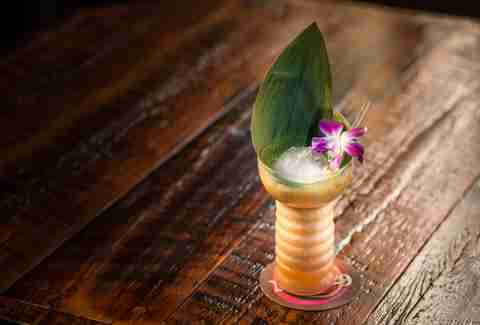 It's the perfect place to enjoy cocktails like the Black Thai White Noise, made with rum, serrano & bell pepper syrup, basil, lime, and coconut milk. 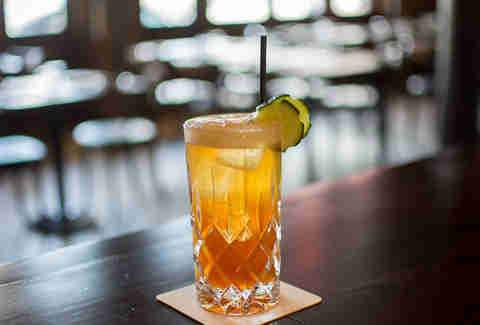 Or go with a fruit-muddled Old Fashioned with any of the "plastic cap" menu whiskeys. Bonus: the food's legit, too, and if you show up for happy hour, $5 will get you some excellent snacks. 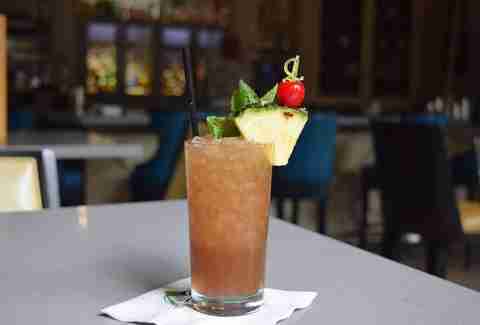 This rum bar focuses on the Cuban rum traditions. 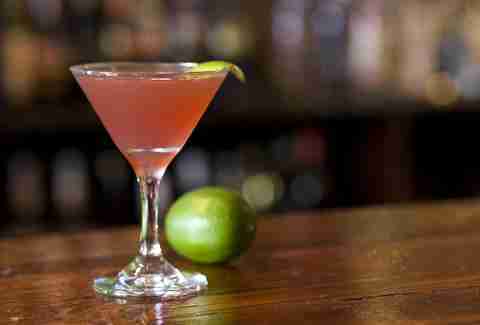 It's the place to stop in and get the city’s best mojito, or a classic Hemingway daiquiri. The tiny bar/cafe does have seating, but it feels more like a to-go stand, which is certainly convenient. Nathan Dalton, the mad genius that put Tiki Tolteca together, brings his undying love of pisco to the Catahoula Hotel Bar. With Bazil Zerinsky (who co-owns El Libre) and the rest of his pisco-loving crew, Dalton has put together a cocktail list that doubles as a love letter to the Peruvian grape-based spirit. 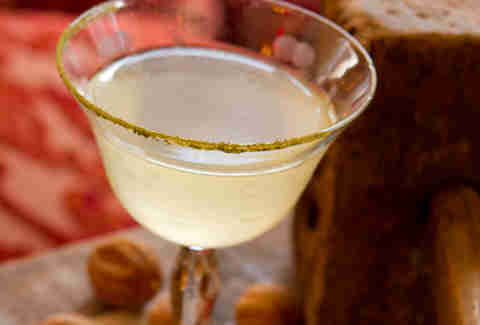 Look for classics like the pisco sour, as well as more creative concoctions like the Coolest Kid In Class, which blends chamomile-infused pisco, sherry, apple, and honey, and comes served in a juice pouch in a brown lunch bag... with a snack and a note from Mom. Owner and head bartender Daniel Victory is serious about his cocktails. But don’t worry, he wants you to have fun while drinking them. Two things of note: 1) every night there’s a featured cocktail, and the bartender will give you a sample of it to try before you order; and 2) Daniel is so dedicated to the art of the cocktail craft that he opened a space next door called the New Orleans Drink Lab, which offers classes on the history and preparation of classic cocktails. See? Serious stuff. Seriously good stuff. Although a restaurant first and foremost, Compère Lapin has assembled a baller cocktail team from the start, showing this town how serious this team is about libations. Bar manager Abigail Gullo brings her love for sherry into some of her creations, like the Gentleman Caller, made with gin and Fino en Rama. 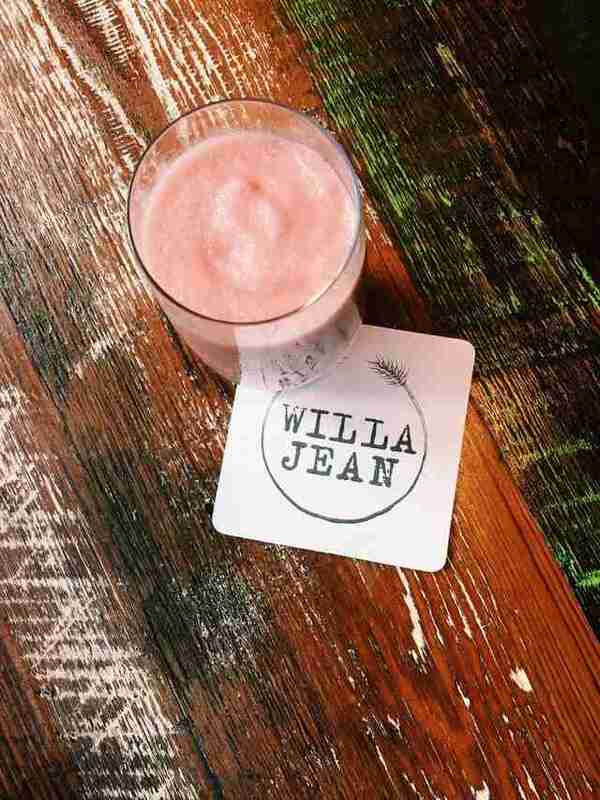 But in the summer heat, go straight for one of the bar’s trademark frozen drinks, like the Abuelita daiquiri, made with cachaca, lime, plantains, and coffee -- or their creative takes on the piña colada and the frozen strawberry daiquiri. It may actually be illegal to have a list of the best cocktail bars in New Orleans without including this service-focused, Chris Hannah-led team of white-tuxedoed bartenders attached to Arnaud’s Restaurant, one of the grand dames of New Orleans creole fine dining. 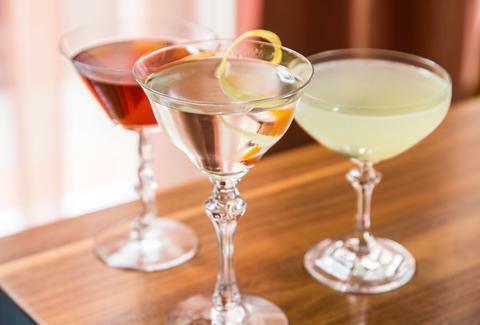 The execution of classic drinks like the Old Fashioned, Sidecar, and of course the French 75 is flawless, but you can always ask for something a bit out of the scope of the cocktail tradition. Neighborhood bar meets craft cocktail lounge with pretense-free, affordable, creative, and deliciously executed drinks. Even more than great cocktails, Twelve Mile Limit provides trivia, free food on Monday nights, pool, a badass jukebox, live dating games, dance parties, and loaded tater tots. 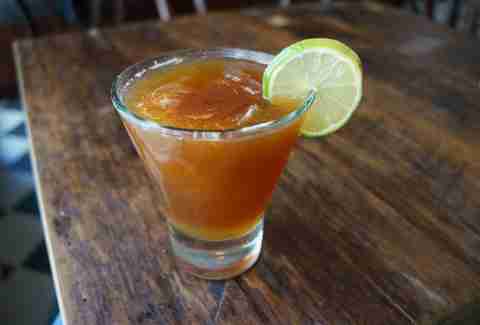 Try the Baudin, a bourbon drink with honey and hot sauce. Nick Detrich’s island-vibe French Quarter hideaway is so low-key, it doesn’t even have a sign out front (look for the line at Coop’s on Decatur, it’s next door). 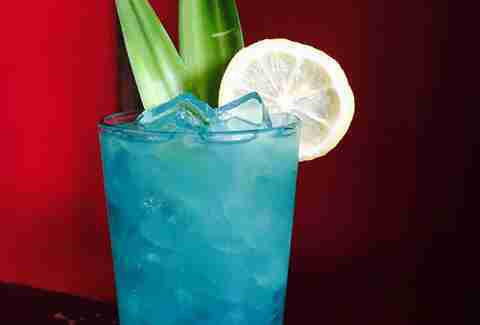 The cocktail recipes celebrated here influenced the mid-century American Tiki craze, started in 1934 with Don the Beachcomber. Sometimes you might even get your delicious cocktail inside a pineapple or coconut shell, just for extra-sheer joy. One of the sexiest spaces in the Central Business District, Loa offers an extensive selection of cocktails that combine the city’s historic drinks with new and creative takes on the craft, like the Cuban Sazerac, or the Wild Birdfeed Old Fashioned. The drink descriptions all contain stories, which are hella entertaining. The Carousel Bar is named quite accurately: the entire bar rotates constantly, a sensation that can be disconcerting at first, but you really do find yourself getting into it. Historically, this is a place to have a quiet, dignified cocktail, but this spot is a lot more raucous these days. Still, go get that Vieux Carre you’ve been thinking about, which is made here with Bulleit Rye and Hennessey... it’ll cure whatever ails ya. This is a low-key spot where people who like to drink whiskey can do exactly that. They don’t have a cocktail list per se, but will expertly make any cocktail you ask, so it’s a great time to try that bourbon-based cocktail you’ve been interested in. Plus, there are dozens of sipping whiskeys to enjoy, as well as beer and non-whiskey spirits, should you really feel so inclined. Paul Gustings is a goddamn national treasure. Rather like the honey badger in nature, Gustings' gruff personality is accompanied by decades of making cocktails, so if you're a cocktail nerd, pay attention to what he says and does -- you'll totally learn something you want to know. And if he’s grumpy at you, just remember that it’s all part of the Paul Gustings experience, as is an expertly prepared cocktail or glass of punch. 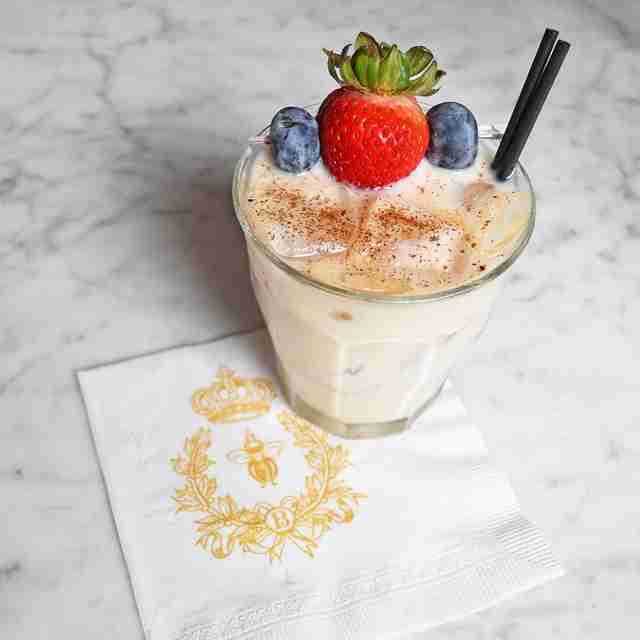 Try one of his signature Napoléon brandy-based cocktails, or roll with something more tropical like the Leite de Onça, a cachaça-based cocktail with toasted coconut shavings, pineapple syrup, heavy cream, condensed milk, and Mexican chocolate. You can also just ask him to make you whatever he’s in the mood for. Named for McDonough 38 school, the converted building in which Dryades Market is now housed, Bar 38 is set up in the middle, serving beer, wine, cocktails, and snacks. The cocktail menu takes its cue from school-based puns, and the menu comes bound in what looks like a grade-school composition book. 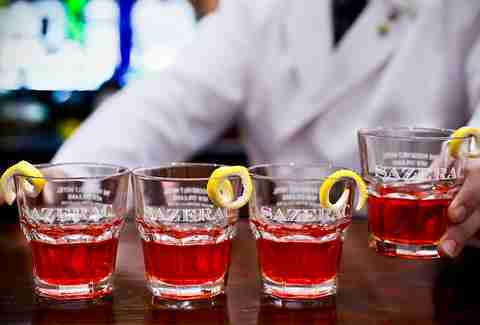 Try a classic cocktail like an Old Fashioned or French 75 from the "History Lessons" section, or try a cocktail named "Study Break," "Final Exam," or "Hall Pass." N.B. : it's not our fault if you have a nightmare about missing an important test. This area’s swanky new hotel actually has two bars of note: the lobby bar, and the rooftop bar, called Alt, both with cocktail menus created by local bartending legend Lucinda Weed. At the lobby bar, grab a seat and order a cocktail up like TGI-RYEday, made with rye whiskey, curaçao, and apple brandy. If you want something lighter, go for the White Port & Tonic. The upstairs bar has a pool, and there is an entry charge for non-guests, but once inside, you can order tropical-themed cocktails with ingredients like pineapple, mint, grapefruit... and not one but two frozen boozy drinks. 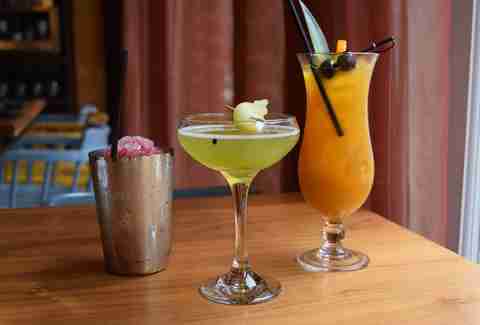 Lead bartender Laura Bellucci adds a distinctly literary vibe to the booziness at SoBou’s bar. Great literature is what inspires her cocktail recipes and names, and she runs the Literary and Drinking Round Table on the third Thursday of every month. Books aside, SoBou always has something tasty in the punch bowl, and an outstanding list of creative cocktails. Pro tip: go for a giant flask of brunch Hooch on the weekends. This bakery-focused restaurant offers an extensive menu of coffee- and tea-based cocktails. If you're a tea lover, go for the Dirty Water, which is made with green tea, mint, bourbon, lemon, and simple syrup, and if you're more into coffee, grab an Afternoon Delight, made with the house Intelligentsia coffee, vodka, Licor 43, vanilla milk, and orange peel. If you want to know what defines a cocktail, as opposed to a punch, sour, or sling, you'll find out when you belly up to the bar at Bar Tonique and look at its cocktail menu. This place divides all boozy beverages into their proper classes, then lists all the drinks of each type you can order underneath the definition... or just go for an amazing Frenchmen’s Dark & Stormy. Cocktails, food, and music all come together at Frenchmen Street’s Three Muses. Local bartending hero Kimberly Patton-Bragg has taken her extreme depth of knowledge of whiskey, tequila, and mezcal, and created delicious sippers that are unique... but also damn easy to finish. Located on the second floor, above Felipe’s Taqueria, Tiki Tolteca is decorated like a dream Polynesian setup from back in Tiki cocktails' original heyday. 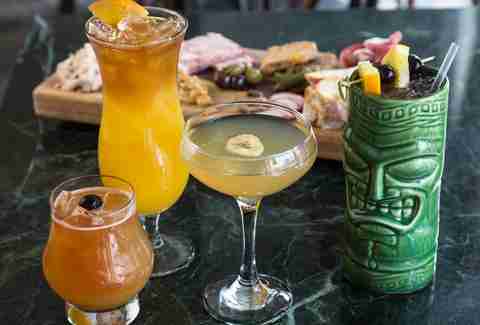 The drink menu, however, draws from both Tiki and Latin American flavor profiles and traditions. Local cocktail legend Chris McMillian has finally hung out his own shingle with Revel, a small craft cocktail bar with a great wine list and food menu as well. Order a classic like the mint julep, mojito, or a Ramos Gin Fizz, and watch the master at work as he prepares your drink. Obviously, we New Orleanians take our rum seriously, but maybe no one takes it as seriously as the New Orleans Rum Society’s headquarters, located in the newly renovated Black Duck Bar in the Palace Cafe. 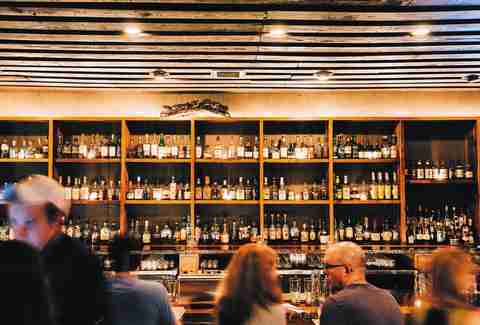 With at least 125 rums to choose from (the tequila list ain’t bad either), this place is a must for rum aficionados. Nora McGunnigle has spent a LOT of time, collectively, in these establishments. Follow her to find out which one at any point in time on Twitter.